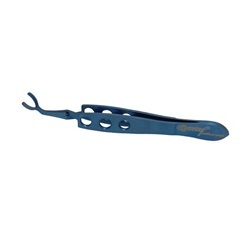 Surgical forceps simplify placement and removal of vitrectomy lenses used with suture down rings. Blue handle with three holes. Manufactured by Ocular.